Avast! Are ye ready for some BOOK-KEEPING? The great and mysterious pirate Captain Nobeard has decided they want to call it quits and stop making hay on the high seas! On the windiest day of the season, they took their great treasure map, and tore it into sections, throwing them high in the sky – and you’re one of the people who caught a piece of it that shows X Marks the spot! Now it’s up to you to put the map together and try and get an edge on the race to that treasure! To play Nobeard’s Treasure, you need some table space, and need to be able to count to twenty. Players do not need to communicate complicated ideas with one another, and it can be played quietly. Want to Buy Nobeard’s Treasure? For international customers, you may prefer to buy print-on-demand via DriveThruCards (the same printer we use for our local stock). You can buy Nobeard’s Treasure at DriveThruCards as a professionally printed card deck. Nobeard’s Fortress is also available in the Invincible Ink 2017 Family Fun Bundle! Already bought Nobeard’s Treasure? 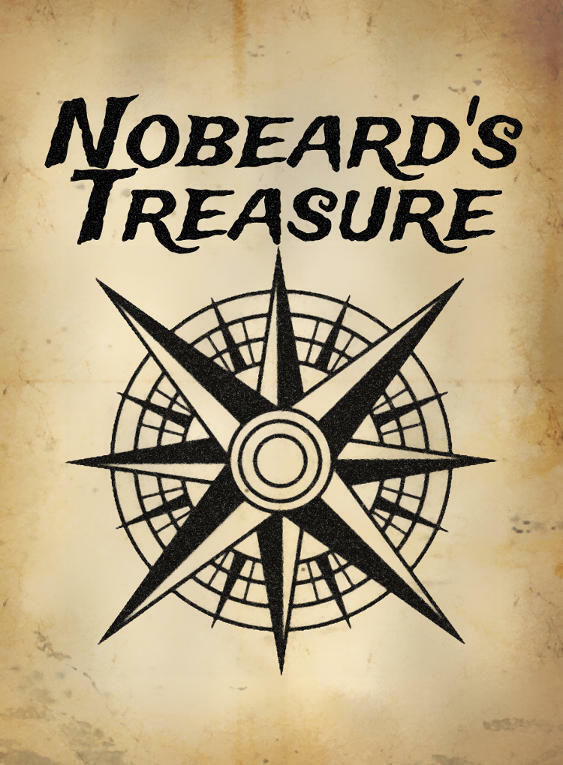 Download the latest revision of the Nobeard’s Treasure rulebook. You can also follow us to receive notifications of rules updates!